I like knowing what the date is. Life with three small people seems to be a whirl wind of calendars, times and places to be. All those things would be a bit of a mess without knowing what the date was. I also like my dates to be surrounded by a square, a calendar with big squares for me to scribble things on. There is not much point in me putting things in my phone as I invariably check it only after the activity or appointment is that I’ve just missed, (and I still don’t like to be that enslaved to technology anyway.) If there is enslavement to be had, I much prefer it to be with my kitchen calendar, with the big quares. Put it on the calendar; I have been known to shriek out. Why wasn’t it on the calendar? I demand. Checking those little squares for where I am supposed to be and what I am supposed to be doing is part of my obligatory morning routine. Never in a studious, calm fashion where I neatly check off things as they go by. No, it’s done as I close the fridge with my foot. Toss the second school lunch box to the bench, reach for the cup of tepid tea on my left and yell out; have you cleaned your teeth yet!? That’s when I do my laser scanning eye over the appropriate square and silently hope I haven’t forgotten to add something on this particular date. How about you? How do you keep track of the date and all the things going on your life? Mix all your ingredients together except your salt. Mixing for about 6 minutes. Now leave it. Go find something else to do for about 40 minutes. Add your salt and mix again for about another 6 minutes or if by hand until you get a smooth dough. Put it back in the bowl and leave it for about an hour. Dough out on to the bench, and do a three way fold. Back in the bowl for another hour or so. Divide the dough in two and then do a three way fold with the two portions. Leave them on the bench for twenty minutes or so. Shape it. Laying it on lined trays, banetton baskets or tins, cover it and prove for 1-3 hours. Bake at 220C with steam. 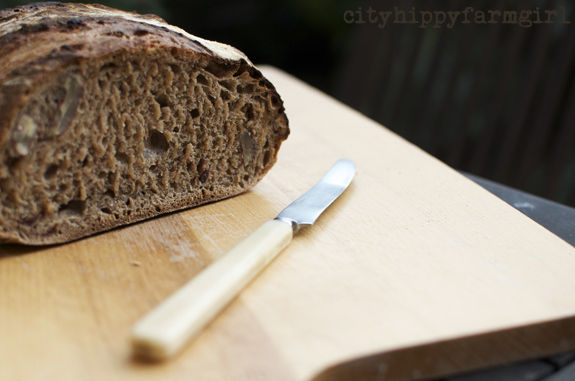 This entry was posted in Baking Bread, Food Glorious Food and tagged bread, cake substitutes, date and pecan, sourdough, sweet breads by cityhippyfarmgirl. Bookmark the permalink. I also like a calendar and I like to have things written down. Debra I would imagine your calendar would be chock a block! Good to hear I’m not the only one who acts like an octopus in the morning Sara, legs and arms flailing about in order to keep track of the dates. It did Jane, I’ll have to make another one soon. Bread seems to disappear far too quickly round these parts. Thanks Jane. Hope you are having a lovely weekend. The bread looks divine! I would love to eat that right now with warm butter or drizzly honey and a gorgeous cup of tea. Me and Calendars – yep, a little more OCD that you, I like my calendars to start on Monday and end on Sunday. I like the squares too. I’ve been known to use my phone for calendar items – that is i phone home and get hubby to put the date on the kitchen calendar. My favourite calendar is the one from permacultureprinciples.com – I get this one every year. I adore the permaculture principles calendar too Tamara. Always lots of good stuff in there. I used to like the diary too…of which I used to scribble all over too. Sourdough cakes are the best Johanna. It’s hard to back to ‘normal’ cakes for me now. So many delicious flavours to play with. On my calendar with lots of colourful pens and highlighters each fighting to stand out from the other events and appointments. Oh just superb – i love contrasting textures. Your little tribe are so lucky to be recipients of tasty artisan baking. Until this month, I was a hard format diary girl. I started every work day with it, and it contained work and home To Do tasks. Now I’m in limbo land between jobs, that system isn’t so useful. We have a calendar with square too and that is getting far more use! I will also confess to liking Google calendar on my phone’s home page as whilst it has the technology downsides, my husband is better at adding things to that then to our paper calendar (and we have shared Google calendars). I love a good hearty bread. This looks great. mmm looks good. Definitely large squares on a calendar. If only I could get everyone else to write on it too, especially when they want me to do something for them. Mine hangs on the back of the kitchen door so I can check it straight after I’ve put the kettle on for breakfast. Anytime you are in Sydney Ms Narf, I’ll happily bake you one. This bread looks utterly delicious! 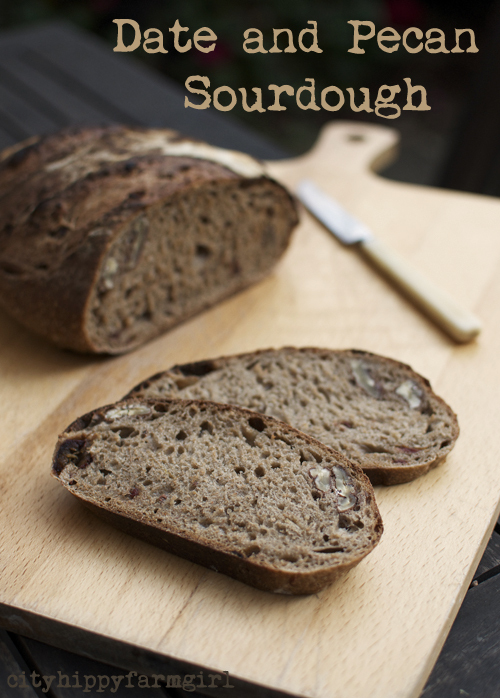 Is your 450g of flour an all purpose flour or are you using a stronger flour? Thanks! I use a strong bakers flour for my bread, (I think from memory it’s a 12.5 percent protein) but I say use whatever you have going….and thank you! Oh god, I’ve just become a slave to the calendar, and I’ve got the feeling it will only get worse when my eldest goes to kinder next year! 100x worse. As then you have to add library bags, sport day, recorder…and the list gets bigger…and BIGGER. I am very much a squares calendar girl. Being on the road, i am constantly driven crazy by not knowing the day, date etc. Can’t use the phone one, so I had to make myself a little paper calendar in my notebook. Love the bread too! The obsessive compulsive planner in me puts everything into my phone calendar,, I keep track of all the things happening, even set alarms to ensure I don’t miss them, and have a pretty calendar on the wall that I cross off each day, the wall calendar is so I feel a sense of achievement.